The NFC Research Lab in Hagenberg is part of the Research Center Hagenberg at the University of Applied Sciences Upper Austria. It was founded in 2005 focusing on new NFC use cases, hardware implementations and security aspects. In 2006, Austria's first NFC Trial was launched in Hagenberg providing a variety of services never implemented in a trial before. After that time the NFC Research Lab Hagenberg came up with payment and ticketing services, an own reference hardware, several publications, and the organization of the Austrian NFC Congress (since 2007). In order to ensure customers and industrial relevance of the research results, project partners, such as A1 (formerly mobilkom austria) and NXP, brought in practical experience from users point of view. In 2009, the 1st International Workshop on Near Field Communication (NFC'09) took place as part of the NFC Congress in Hagenberg. Since then, an annual International Workshop on Near Field Communication has been organized by the NFC Research Lab Hagenberg, VTT Technical Research Centre of Finland and ETH Zurich (2010: Monaco, 2011: Hagenberg, 2012: Helsinki, 2013: Zurich). 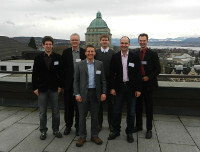 Seibersdorf Laboratories, in cooperation with the Embedded Systems Lab Hagenberg, organizes the second NFC conference (2. NFC Fachtagung) on June 14th, 2018. This event will take place in conjunction with the EMC conference (16. EMV Fachtagung, June 12th-13th) in Seibersdorf near Vienna. Seibersdorf Laboratories, in cooperation with the NFC Research Lab Hagenberg, organizes an NFC conference on April 14th, 2016. This event will take place in conjunction with the EMC conference (EMV Fachtagung, April 12th-13th) in Seibersdorf near Vienna. Michael Roland, researcher at the NFC Research Lab Hagenberg, revealed security hole in Google Wallet. The NFC Research Lab co-organizes the 4th International Research Workshop with focus on Near Field Communication (NFC) - NFC2012, taking place in Helsinki, Finland 2012. 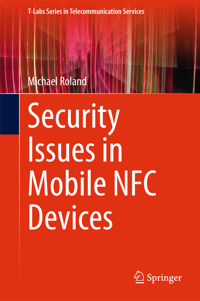 Today, the NFC Research Lab released a hotfix for a problem on Android NFC phones (like the Nexus S) when reading SMS messages from NFC tags. Thursday, 24. March 2011 Ever wanted to know what is stored on your NFC tags?